Featured in museum stores, galleries, and boutiques across the nation since 2006. 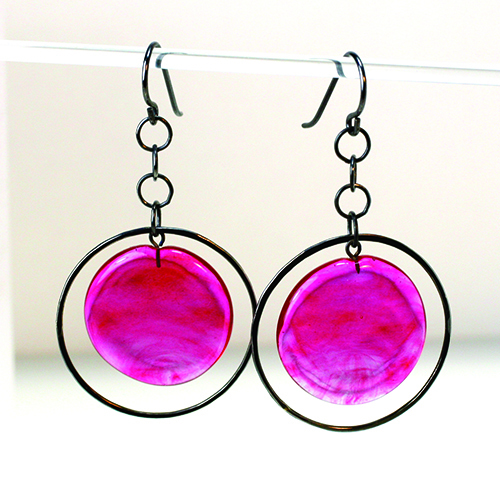 Handblown art glass earrings with oxidized sterling wires and hoop. Shown in hot pink. Also beautiful in aqua, teal, clear, lime, poppy, and sapphire. 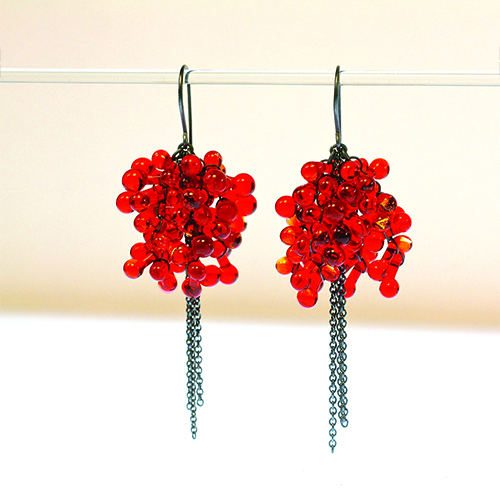 Pendulum hoop earrings! These are BIG. I make and oxidize these hoops from sterling silver and add pulled art glass. Shown in black glass, I also make them in translucent emerald, crimson, aqua, teal, gray, clear, and hot pink. 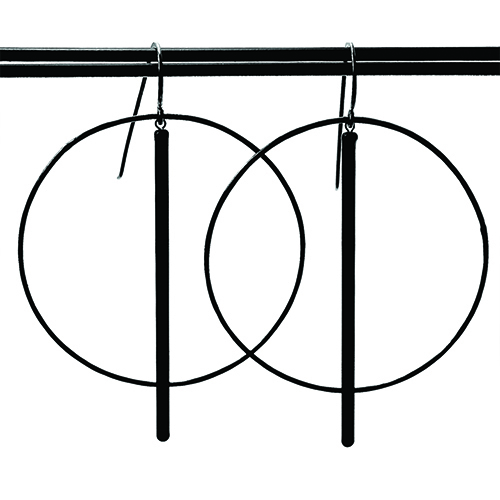 Hoops measure 2 inches across and are about 2.5 inches in length. Handblown and pulled art glass is melted into sterling silver to create light-catching, kinetic sculpture. 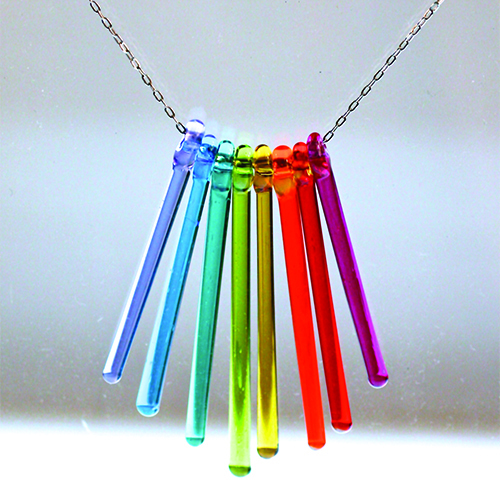 Spanish for matchstick, this rainbow fosforo necklace is a clean and contemporary look. Hand-pulled cane art glass and 18" sterling silver chain. Sticks measure between 0.25"-1" in length. Named after a water nymph, the Ondine collection takes advantage of the properties of molten glass as a fluid material to evoking water droplets. Sterling 18" chain. 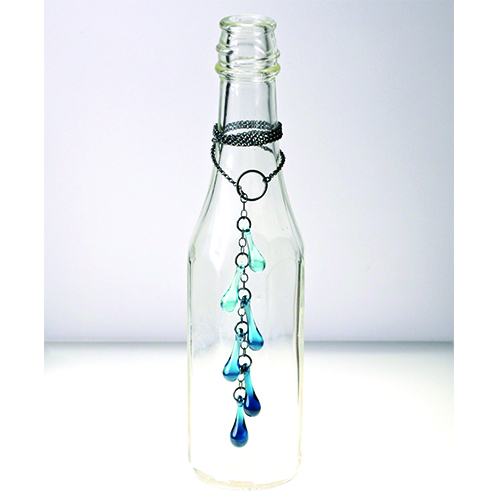 Shown in shades of slate blue with oxidized sterling.